recently my cousin’s son andrew told me “if you find an indian shooting a star on your tootsie roll pop wrapper, you can exchange the wrapper for a free tootsie roll pop!” i said “what?? ?” andrew just turned 10, and he likes to tell jokes. then warren (his dad, my cousin) said, “yeah! apparently the tootsie roll company has been doing this since the 1800′s. andrew always trades his ‘indian star’ wrapper in for a free tootsie roll pop. he hasn’t had to pay for one in a long time.” i checked a few sources online… there is no promotion. my little cousin is probably getting free candy because he’s looking up at store clerks. 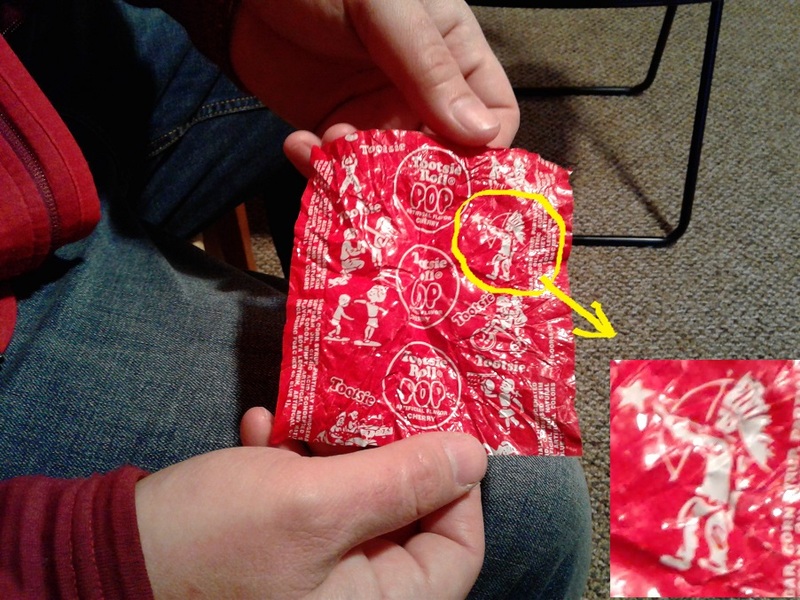 he’s pointing at the indian on his wrapper. he’s saying “i get a free one of these now, right?” like a little kid who firmly believes it. well played andrew. 5 Responses to Free Tootsie Roll Pops? Andrew sounds like he has Con Man 101 down pat. what comes next? oh mom, i laughed out loud when i read your comment!!! i’d say andrew has a bright future in sales! I got a tootsie roll pop that had a free cavity inside. Cost me $750 bucks. $750 is chump change nowadays. that musta happened when bell bottoms were still in fashion! I’d give anything to be young and innocent and insurance debt-free.